I have been so stressed out lately and I just feel so useless for not blogging as much. I am going shopping soon so will hopefully have LOADS of things to blog about, so keep an eye out! When I reach 50,000 pageviews I might do some type of giveaway?! Would you be interested? READ MORE TO WATCH THE VIDEO AND TO READ MORE!!!! Anyway, here is my new YouTube video, I really hope you like it! I filmed it 5 times before I was happy with the one that is finally up on my Channel! 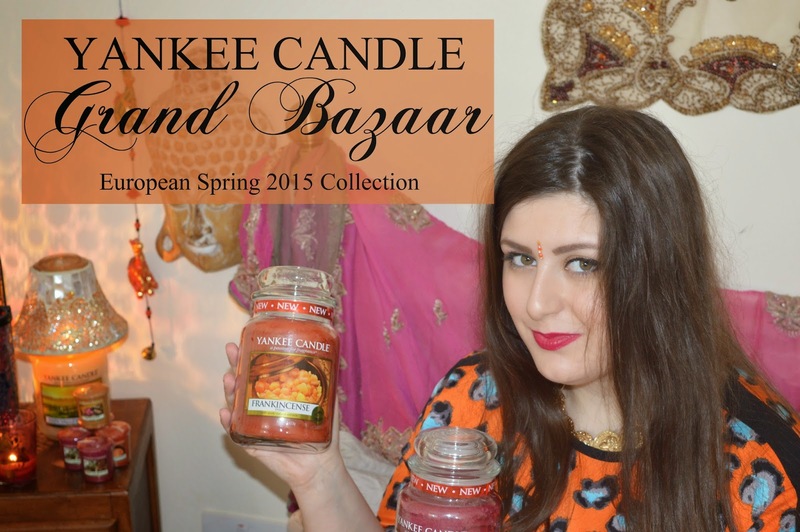 It's all about the new Yankee Candle Grand Bazaar Collection for Spring 2015, specifically for Europe! Eeek! Watch it to see the entire video and make sure you like, comment and subscribe!! Let me know what you think it, I really hope you like it! Great video, I love Yankee Candles (burning one at the moment for the cozy evening atmosphere). love Yankee Candles, and Thanks for the tips on burning them!